The Dru Yoga Therapy Diploma Course is accredited with the British Council of Yoga Therapists (BCYT) and taught by an international team of yoga, health and medical professionals. establish your own clinic, working with small groups and individuals, liaising with health professionals to ensure optimum care for your clients. A qualified Dru Yoga therapist is able to register with the Complementary and Natural Healthcare Council (CNHC) and is recognised as being able to work within a clinical setting alongside other health professionals such as GPs, medics and complementary health practitioners. A yoga therapist is able to work with individuals and groups of clients to design specific therapeutic programmes for a diverse range of health conditions such as; back pain, asthma, arthritis, digestive disorders, heart and circulatory conditions, stress, anxiety and depression. All module dates are compulsory to complete the course. The course consists of 7 x 4 days modules and 2 x 6 days modules and is delivered at our international centre in North Wales. We’re looking for experienced yoga teachers who are looking to develop their knowledge and skills to work in the field of yoga therapy. You will need a recognised 200hr yoga teaching diploma, 60 hours of postgraduate teaching experience and a current first aid certificate. You’ll be required to undertake yoga therapy sessions with an experienced yoga therapist and complete 6 tutorials as part of your study. The course consists of 50% practical, 30% theory and 20% research. This course meets requirements at Level 4 within the UK. 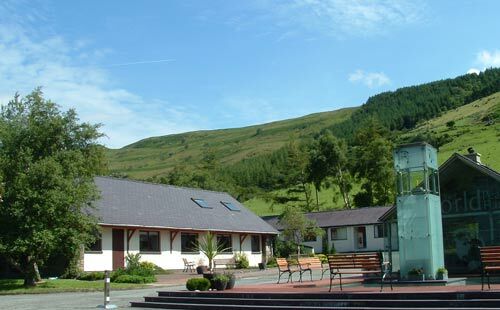 The venue for the course is our wonderful purpose-built retreat centre in the Snowdon valley. Within it's beautiful surroundings your enjoyment of the course will be enhanced with exhilarating nature walks in the glorious Snowdonia National Park. Transport links from the north and south are excellent. We are on the main train line direct from London and we are easily accessible from all major motorways.